We are rolling out our first workshop of NXTGEN Winter Camp 2015. This is going to be fun! Do you Want to Make your Android App but don’t know where to start? Do you Want to Learn Skills of App Design and User Experience? This hands-on workshop teaches how to make a really cool photo-sharing app for Android. 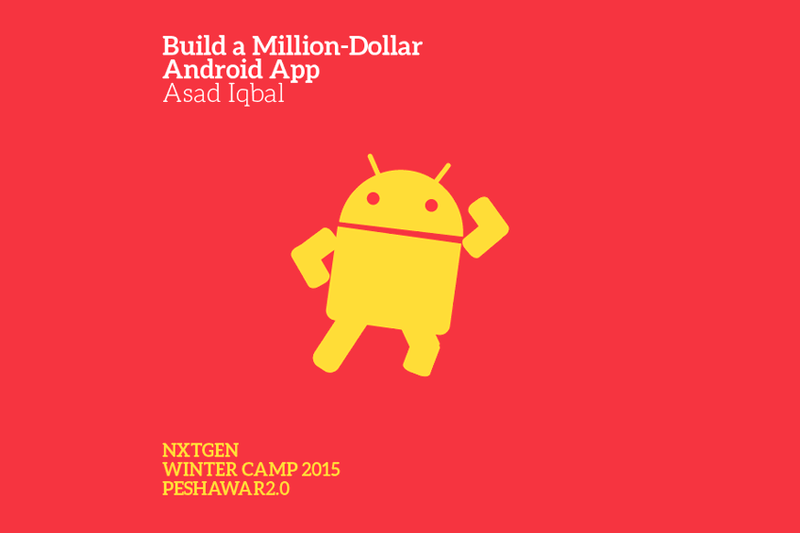 During intensive lab sessions, instructor Asad Iqbal (Founder and CEO of Hiwaas, Web Apps Developer and Creator of PlaceSMS) will teach you how to build an Android app from scratch. The project you will be building will be a photo-sharing app similar to Instagram. Hello, i want to learn about developing android app, can you plz confirm me that if the offer is still valid? It will start from 18 February 2017?? ?